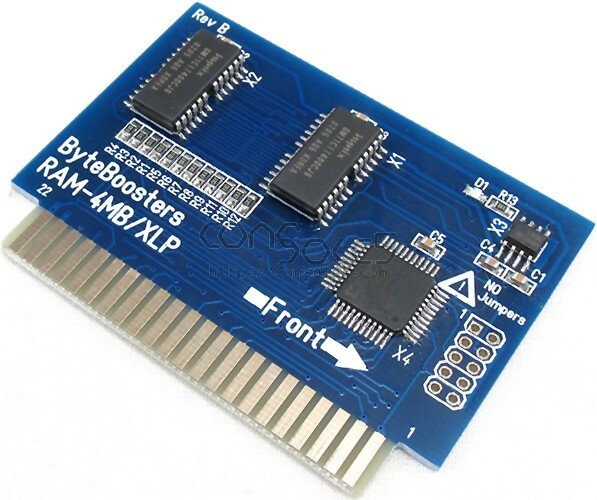 I am giving away my ByteBoosters 4MB DarkRAM Apple IIgs memory expansion card. This was just purchased from Console5 a few weeks ago, and was only installed in my system for a few days. It's as close to new as you can get without buying a new one. Why don't you want it? After I bought it, GG Labs sent me a free 4MB RAM card for my IIgs, and I don't need 2 cards. Why not sell it? I put up a post in the "wanted" section looking for an Apple IIgs case for my naked PCB & power supply. AtariAger "towmater" very generously sent me an empty IIgs completely free, and just told me to "pay it forward". So that's what I'm doing. Why isn't this posted in the Marketplace forum? Because I want this thread to be seen by Apple II enthusiasts, and not people who only come to AA for the market. How can I claim it? Just post here in the thread that you're interested, and I'll randomly pick someone. Please don't PM me. If you do, you're disqualified. Are there any catches? I would prefer it if this goes to someone who's going to use it. If you only want it so that you can re-sell it, or because it's free so "why not?" then please let someone have it that has a use for it. Basically, you should be someone who already owns an Apple IIgs, but has less than 4MB of RAM and is looking to upgrade. You also need to be an active member of the AtariAge community, the evaluation of which is basically up to my discretion. How long will you let this thread run? I'll pick the recipient this weekend, and send the card out next week. That's nice and generous. Put me in the hat. I'm all things Apple II, just now organizing and spiffying up the IIgs segment. It is very generous and a nice thing to do, no need to add me to the hat, I just wanted to commend you. Agreed! Very nice of you! I don't need it either. You wouldn't happen to have a spare Mockingboard 4c on your hands, would you? That is something I can't at all justify, but really want. Once I am no longer broke (relatively speaking), I hope they are still available. Very nice of you and I am definitely interested. LOL, I'm running a bare board IIgs myself. I salvaged it from it's very melted case after my fire. The case was ugly but the board was fine. Never thought about asking if someone had an extra case, I just planned on putting it in an extra PC case I have. Right now, mine just has arcade PCB feet on it, to keep the board elevated off of the desktop. Originally I was going to cut a piece of smoked plexi and mount it on that, but it was going to be a lot of trouble, and I'd rather just have an original case. Last night, I scrubbed down the case that towmater sent me, and now it just needs to be treated to remove the yellowing. I'd also like to replace the battery on the mobo before I put everything back together. So yeah, just ask around to see if anyone has a bare case, or has a broken IIgs. In preparing for my winter projects I came across a GS-RAM Plus board. Therefore I don't need this like someone that has no memory expansion. The only benefit for me would be lower power consumption. Edited by Keatah, Tue Nov 14, 2017 3:32 PM. That's OK. I think this could still be considered an "upgrade". I appreciate your honesty, though. One suggestion with the mobo battery... I rather stupidly put three AA batteries in a holder, nicely velcro'd to the case. I'm sure you're smarter than me, but just in case others don't know this, the IIGS attempts to charge this battery, which regular alkaline didn't like. Luckily I placed it far enough from the board that the strange green ooze that one of the batteries emitted didn't hurt anything. I'm not sure if I could have used AA nimh rechargeables, I ended up just placing a diode in line so that the mobo can't send voltage back to the batteries. I am definitely planning on replacing it with the same battery. The only change that I would like to make is to add a battery holder (I have a ROM 01) rather than soldering a new battery to the board, although considering how long they last, soldering on a new one really wouldn't be a big deal. I know I said I'd leave this up trough the weekend, but I feel like it's been up long enough for whoever needed to see it to see it. the two interested parties were JamesD and Keatah, and since Keatah has a RAM card and JamesD doesn't I'm sending it to him! Sending a PM now. I replaced mine with an original style battery, I figured it made it 20+ yrs a new on is good for another 10 to 20 yrs. Edited by c0op3r, Thu Nov 16, 2017 7:37 PM. 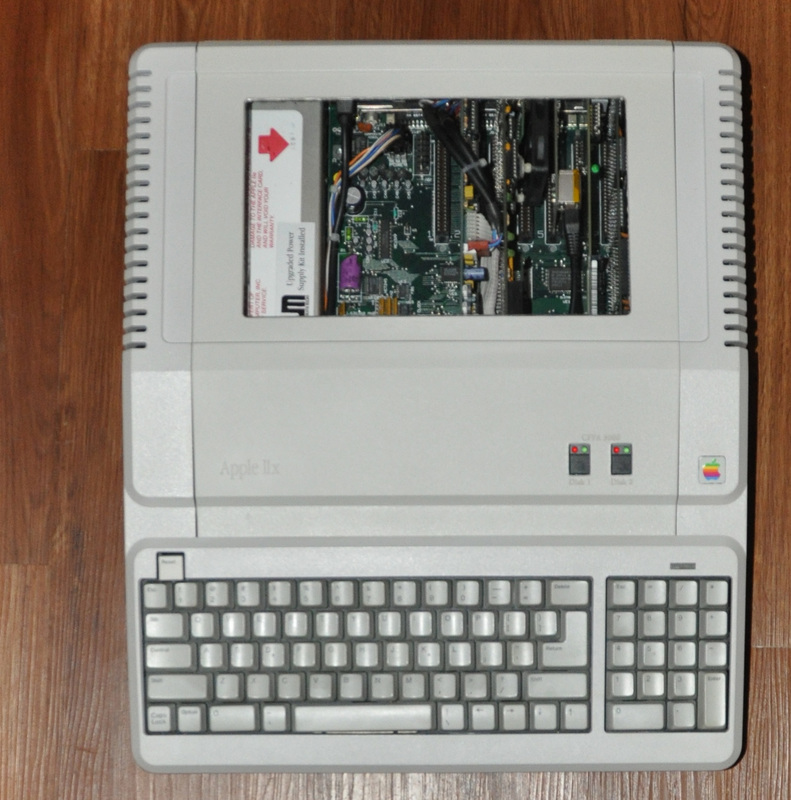 Is this Frankenstein Apple IIgs motherboard into Apple Platinum IIe case ? And is possible for you to named all those cards you had been installed into motherboard ? There's a TransWarp in Slot #1, a Uthernet II in Slot #2, an Audio Card of some sort in Slot #3 and a CFFA3000 in Slot #6. The little card in Slot #5 is probably for Stereo Audio..
Edited by MarkO, Fri Nov 17, 2017 5:40 PM. 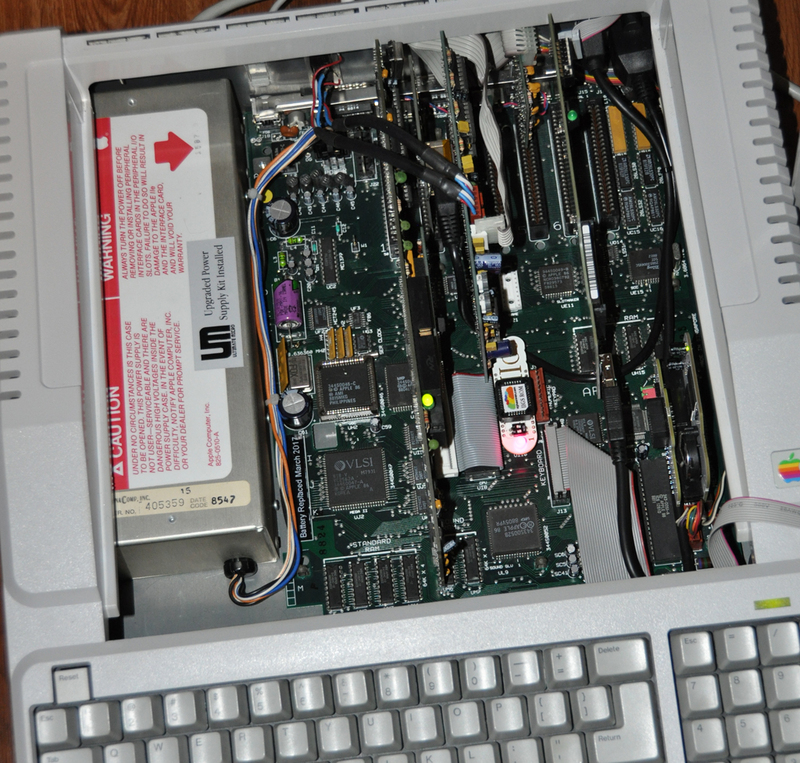 Actually its not a Frankenstien at all it is a real IIgs Upgrade kit, that I replaced the upper shell with a Platinum Case. I like to call it my IIx. MarkO has it right for the cards: TransWarp in Slot #1, a Uthernet II in Slot #2, an Audio Card of some sort in Slot #3 and a CFFA3000 in Slot #6. 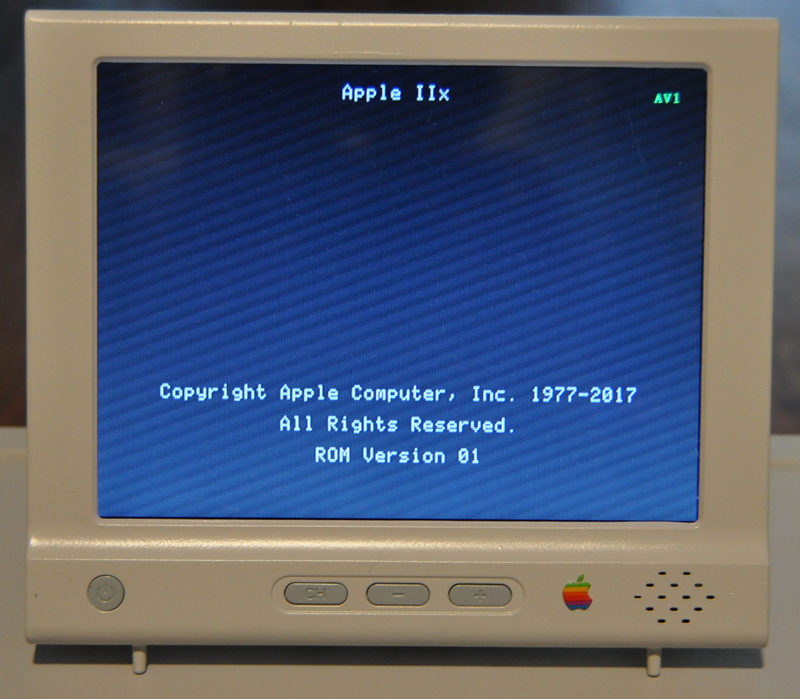 There is also a custom Rom that displays IIx at startup vs IIgs, also an 8M A2Heaven card and since that photo I also installed a FingerPrint IIgs card with the button being hidden under the Apple logo. so you press the Colored Appled logo to activate the FringerPrint Card. I received the RAM board the other day! Holy cow it's gotta be half the size of the other new RAM boards I've seen! Yes the one you have there and the A2Heaven one are TIINY. Technology at its best.